Update: Zagat claims the number of cities available will be expanded to 50 over "the coming months," and that old restaurant reviews will be made available on the web page "soon." Woohoo, a whole 50, guys! Ever have your parents pull the old 'bait and switch' on you when you were a kid? "Hey Jimmy, here's a brand-new bike. And by the way, your mom and I are getting divorced!" 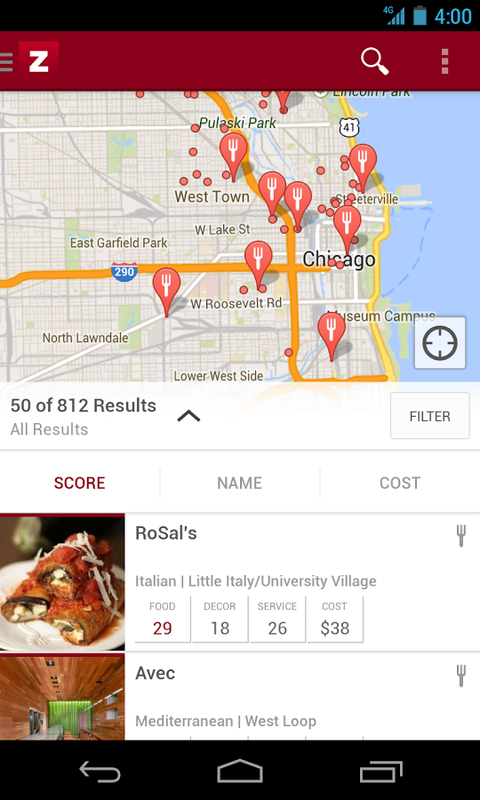 Well, Google pretty much just tried doing basically that to Zagat fans. 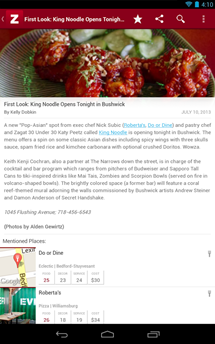 You see, the Zagat app and website got a total overhaul today. They look pretty nice - everything's all card-y. Oh, and now you can watch videos in the app, and see menus. Neat! You don't even need Google+ to sign in anymore. Oh, and by the way, all but nine major metropolitan areas' reviews and content are gone. Completely. Have fun! Zagat fans are understandably hotter than a stone oven-cooked artisan pizza covered in Sriracha about this, and it's hard not to sympathize. 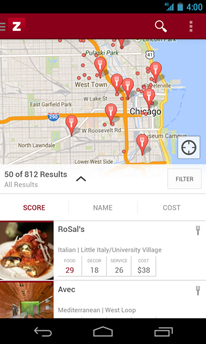 Ever since Google bought Zagat, it hasn't really been clear what exactly their big plan for the company was. Integrating scores into searches and Maps wasn't much of a help, and the standalone app was nice (as was dropping the registration fee), but it always felt like the big Z was in a bit of acquisition limbo. This abrupt culling of content, then, would seem to be indicative of Google's continued inability to capitalize on the buyout. 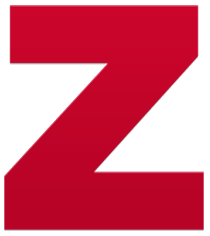 Zagat's always been something of an oddball, and while it has a very dedicated paid subscriber base, even as someone who places way too much trust in restaurant reviews, I always had a hard time really getting much out of Zagat. For serious high-end diners and travel nuts, it was a go-to (not to mention a membership fee gave it a feeling of exclusivity), but I don't think it resonated with Google-lovers the way the company wanted. Its meager 100,000-500,000 installs and 500 reviews on the Play Store (tiny for a Google-published app) put it in the company of misfit products like Google Catalogs. Really, it's safe to say that any ambitions Google had about Zagat being a Yelp-killer have probably been given a rather hefty dose of reality. So, what do you do with products that are losers? You either kill them, shrink them, or try to turn them around. Google did a bit of all three here. 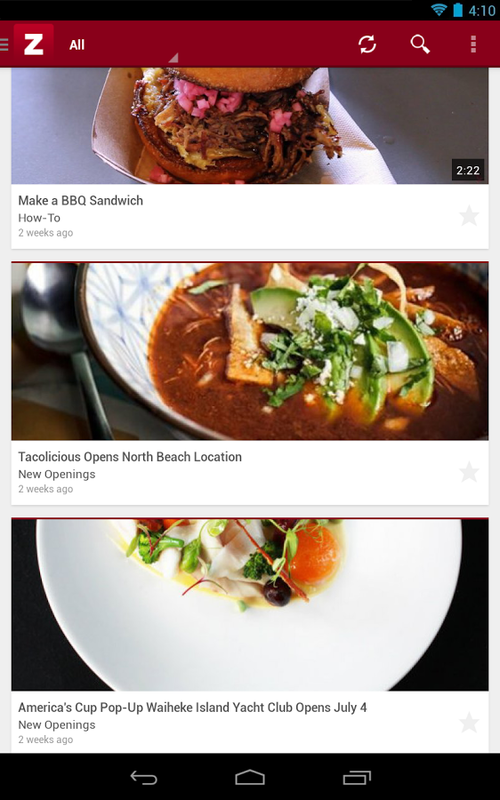 The "new" Zagat appears to focus much more on article and video content about restaurants and food, and move away from becoming a full-on restaurant review service. It also very much feels like Google is distancing itself from the service by removing pretty much all Google product integration with it. I'm willing to bet a hefty staff cut was on the menu, as well. 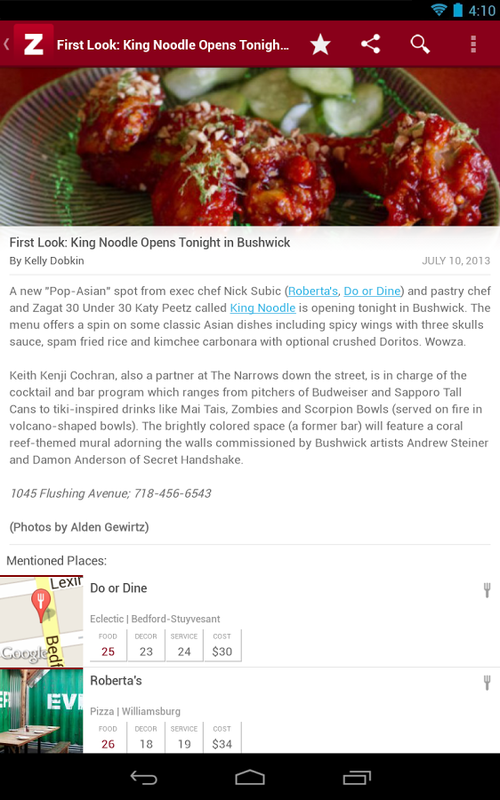 Altogether, one has to wonder if Google is trying to make Zagat appetizing to outside buyers. Trimmed, dressed, and sporting a modern presentation completely devoid of direct reference to Google involvement, Zagat isn't really looking like a product getting ready for final absorption into the heart of the Google machine. I will say, the new app is very pretty, and as an LA resident (one of the nine supported regions), I'll be giving it a whirl again to see if Zagat can finally win my affection. I probably shouldn't get too attached, though.